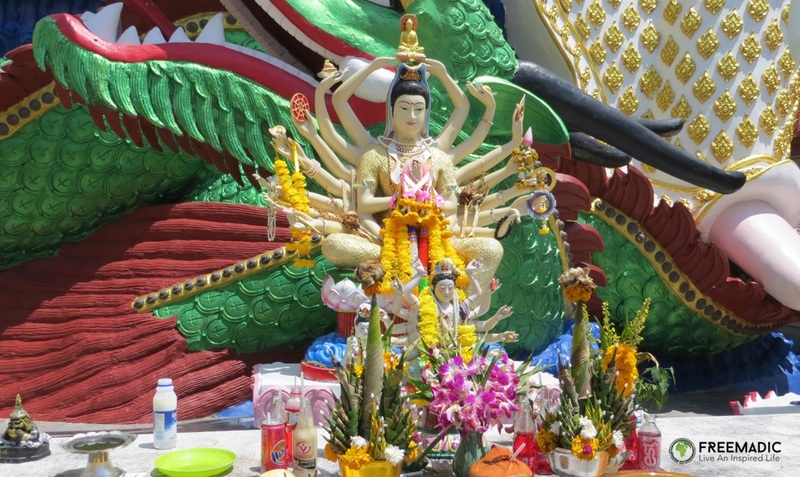 Even though this Buddhist temple is on the small island of Phan is just offshore from Koh Samui, it is still accessible by road and is known as one of the most popular temples in the area. 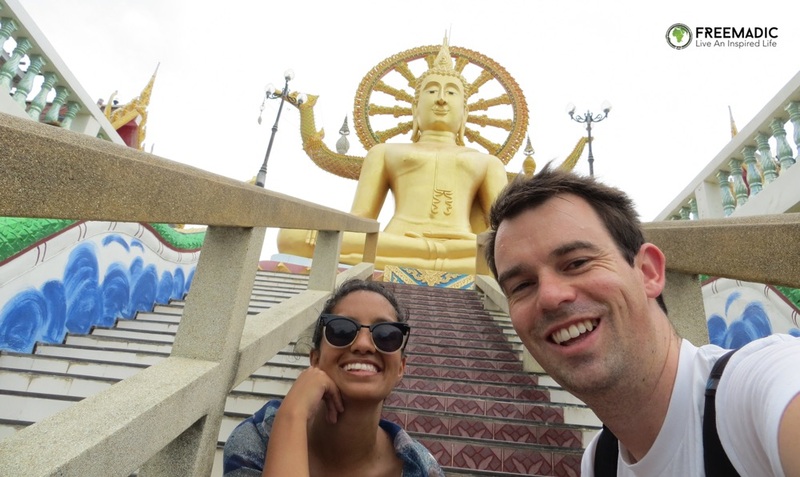 With a stairway decorated with mythological serpent leading up to a viewing platform and a 12 metre high golden Buddha statue, from the ground this temple is spectacular. On the viewing platform surrounding the base of the statue are giant bells that visitors can ring for good luck. 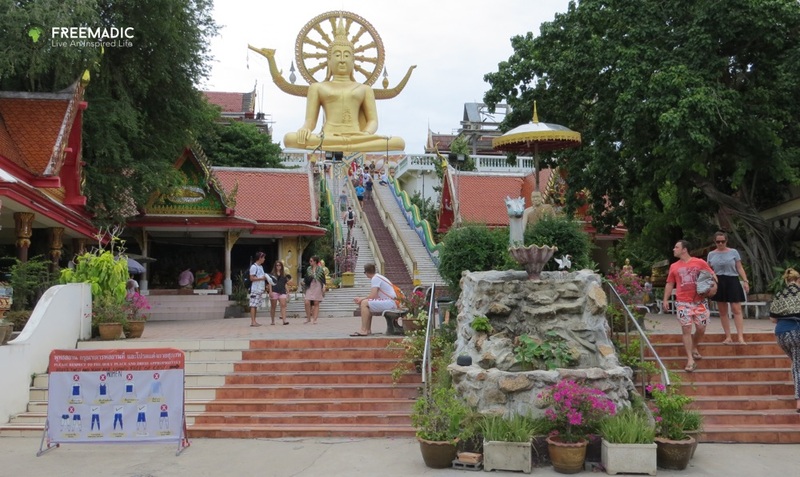 We spent all morning at the temple and extended our stay by enjoying a seaside lunch at one of the nearby restaurants. With the airport being so close by, it is also an awesome place to watch aeroplanes coming in for landing. 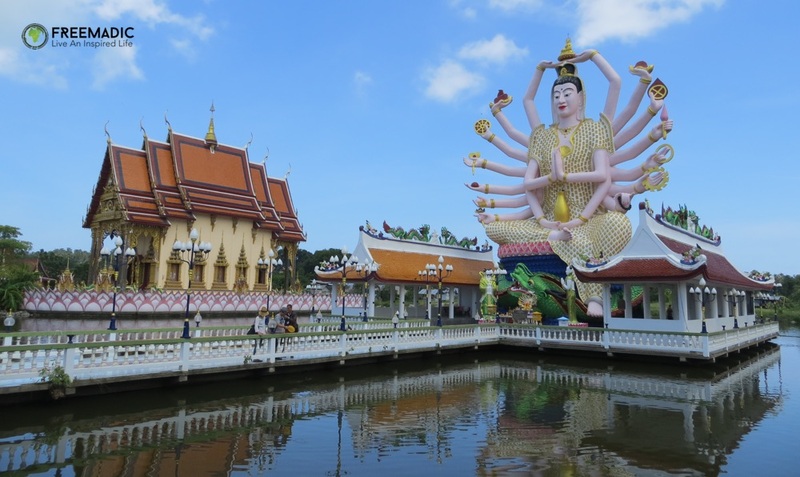 Home to various elaborate statues and temple buildings, Wat Plai Laem is a Buddhist compound on the north coast of Samui. 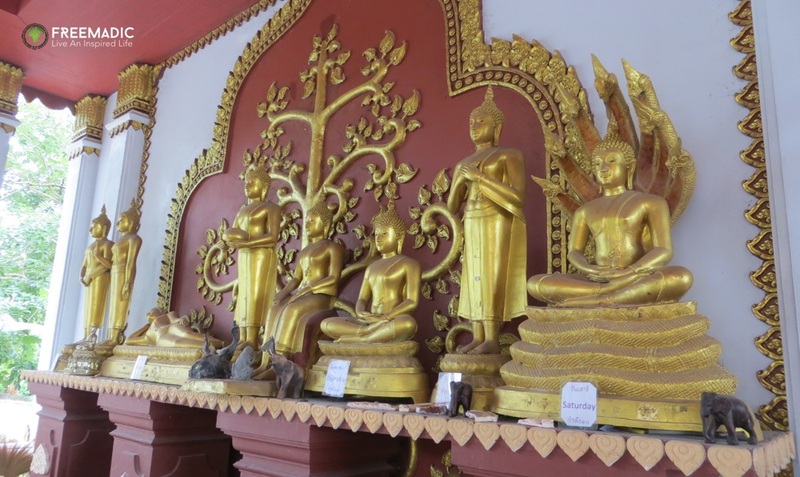 It is the perfect place to get a perspective of Chinese-Thai beliefs and get to view Buddhist art and architecture. 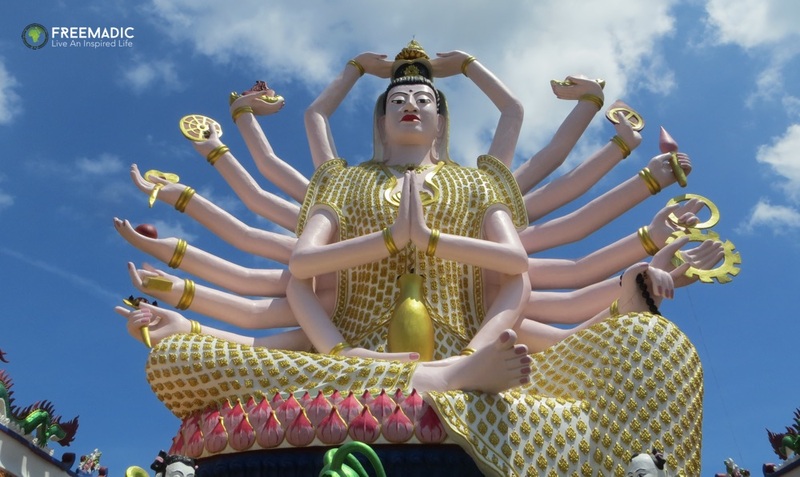 Towering over the compound is the 18 armed Guanyin – the Goddess of Mercy and Compassion – with her nine sets of arms each representing a sector of Buddhism. 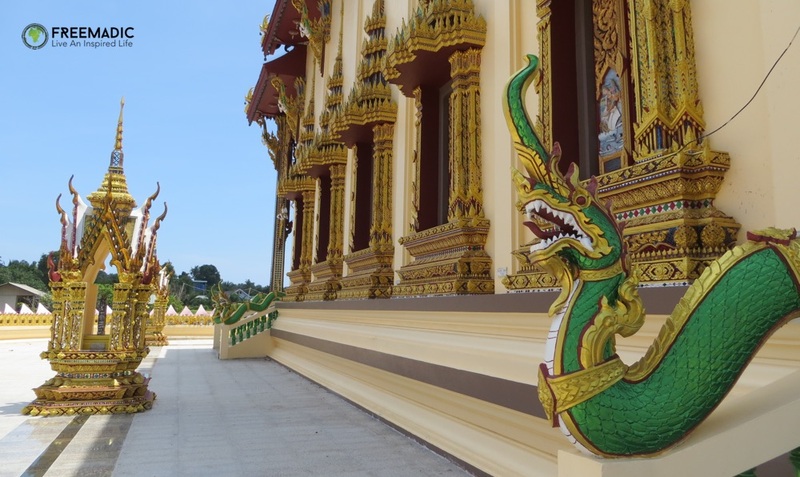 With so much intricate detail, and impressive architecture we spent about three hours exploring this amazing compound and feeding the catfish. 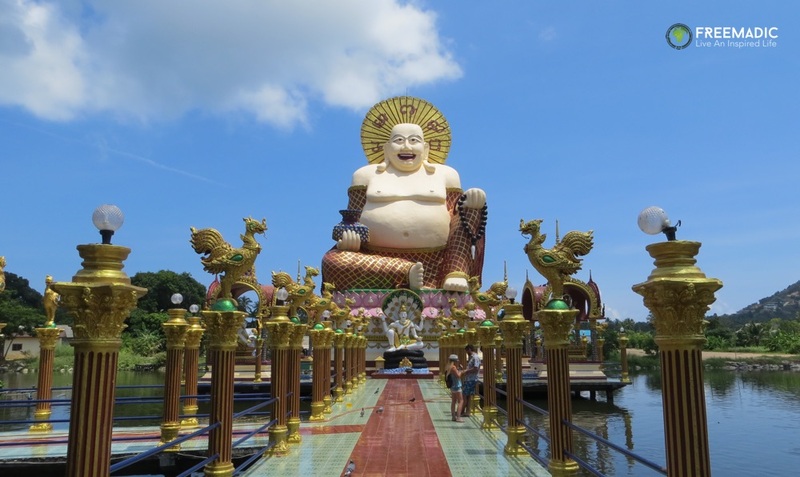 Vietnam has The Ho Chi Minh Mausoleum, Russia has Lenin’s Mausoleum, and Thailand has Wat Khunaram on the island of Samui which is home to the Mummified Monk. Yes, you can view the mummified body of Monk Luong Pordaeng who died in 1973. 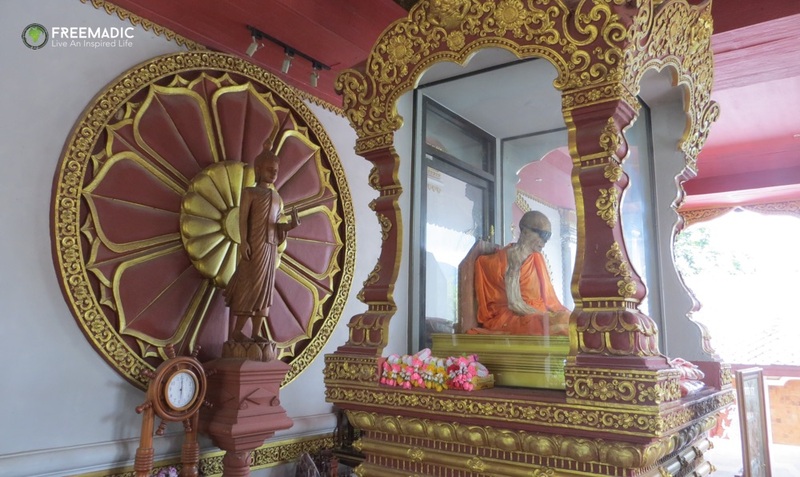 Seated in a meditative position, his body is on display in a glass case at this temple as per his own wishes and aims to bring awareness to Buddhism. 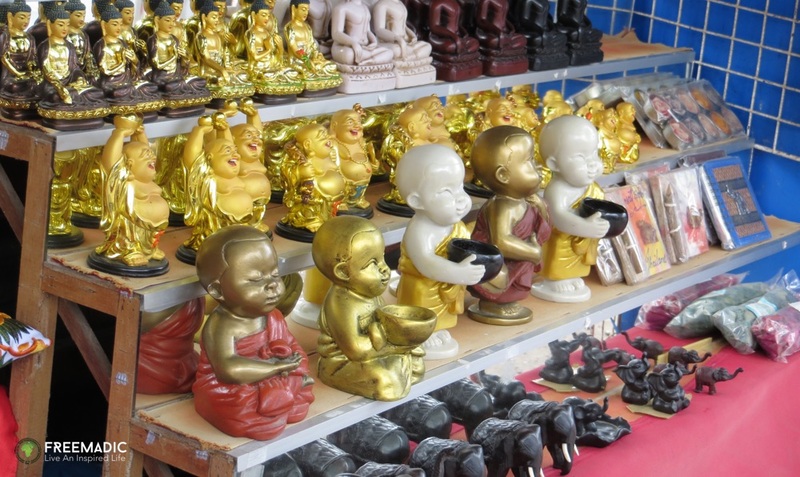 Even though there is very little decay on the monk, today he wears sunglasses to cover his eyes. The temple itself is very simple yet, like all other temples, is beautiful. Like most religious places a dress code is enforced. 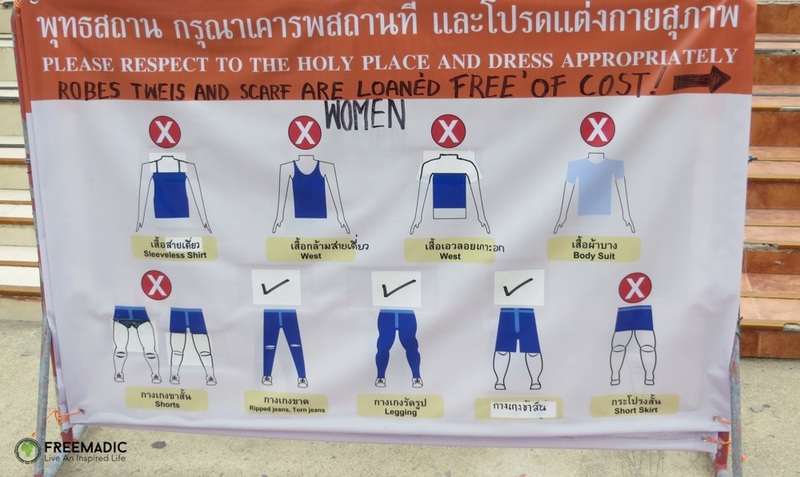 Please dress respectfully when visiting these Buddhist temples by making sure everything between your shoulders and knees are covered. 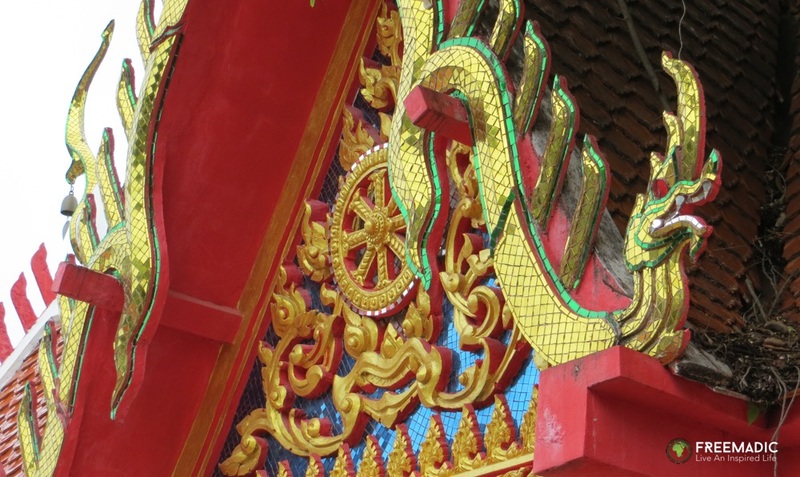 Most temples do offer free sarongs to those who are not appropriately dressed, but it is easier to bring your own cover-up. 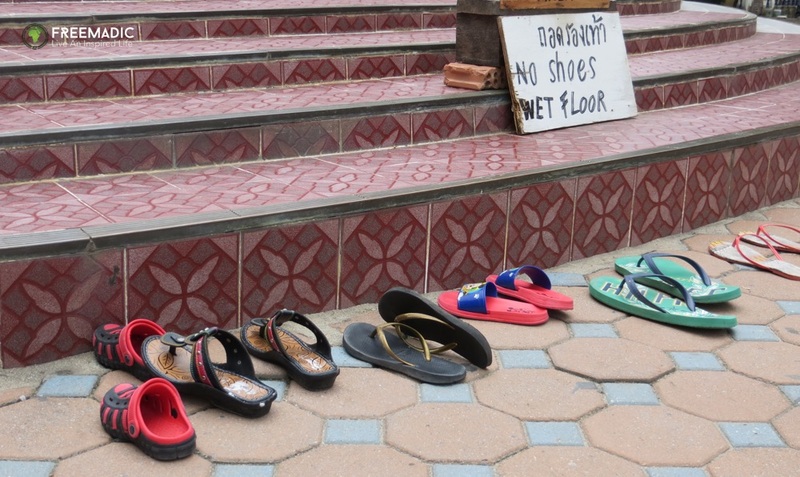 In certain areas of temples it is also required that you take your shoes off. 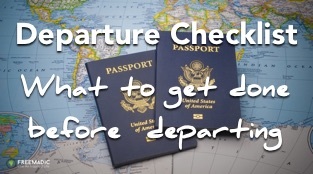 We suggest you wear flip flops or shoes that are easy to slip on and off. 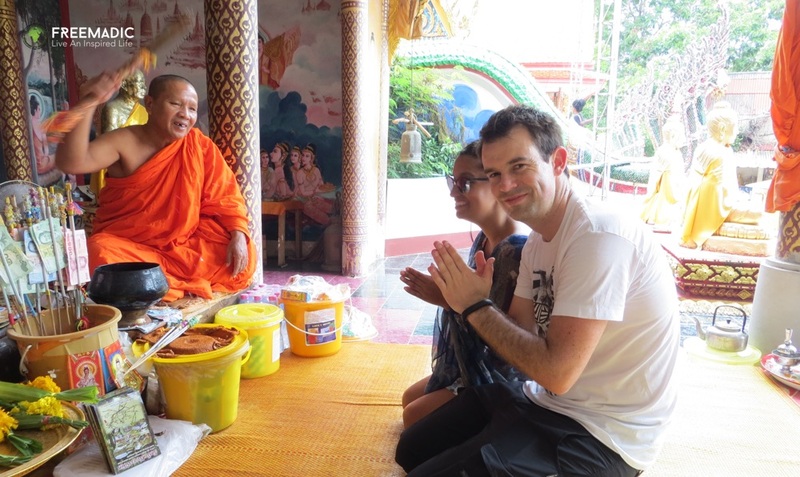 Most temples offer blessings that usually consists of a monk sprinkling holy water above your head before asking you where you from and, in our case, if we are in Thailand on our honeymoon. It is a very special moment to experience and an excellent opportunity to interact with monks that can often speak English. In return for a blessing we always gave a small donation to the temple.